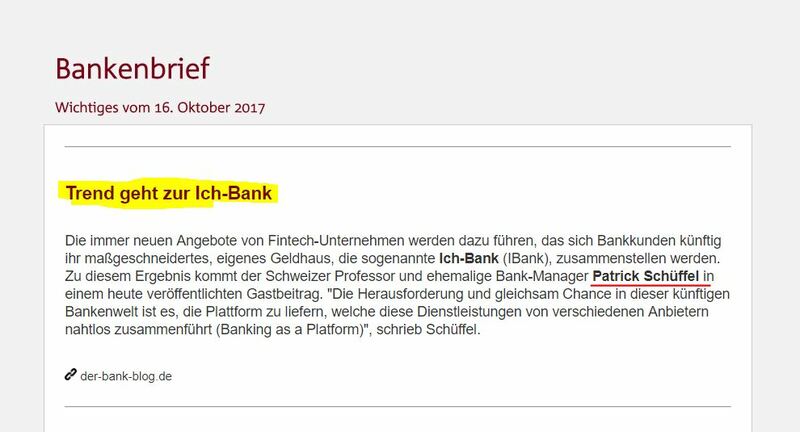 Patrick Schueffel is adjunct professor at the Institute of Finance of Fribourg’s School of Management. His research interests focusses on the areas of Entrepreneurship in Banking & Finance, Innovation, Strategy and International Business and thus on Fintech. He has published widely in academic as well as practitioner journals in Switzerland and internationally. Prior to his academic career professor Schueffel served as the Chief Operating Officer of Saxo Bank (Switzerland) and was a member of the Senior Management of Credit Suisse. At Credit Suisse he was the responsible global innovation officer of the one-thousand employee strong organizational unit “Investment Services & Products”. He holds a doctorate degree from Henley Business School at the University of Reading/UK, a Master Degree from the Norwegian School of Economics and Diploma from Mannheim University/Germany. 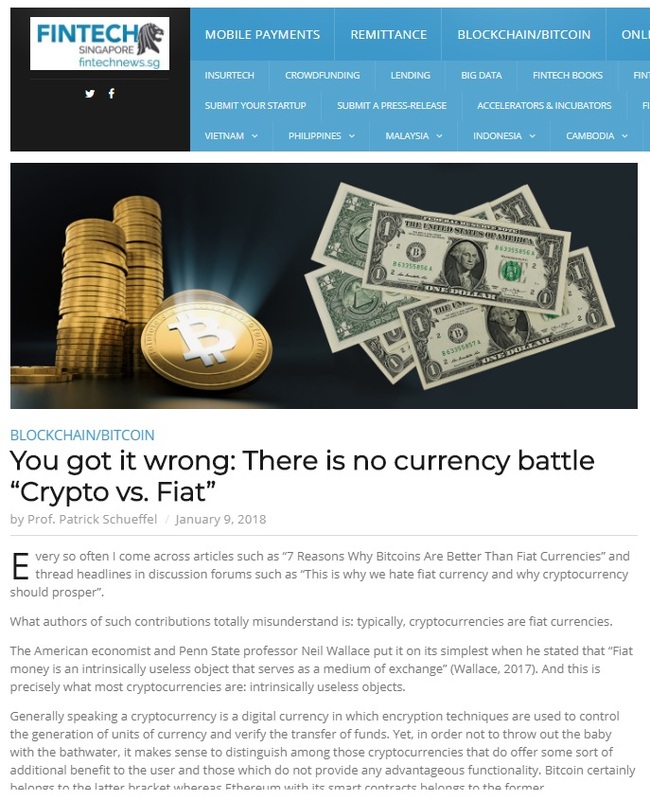 Thank you, Matthew Allen of Swissinfo for presenting my point of view on Bitcoin & Co.! 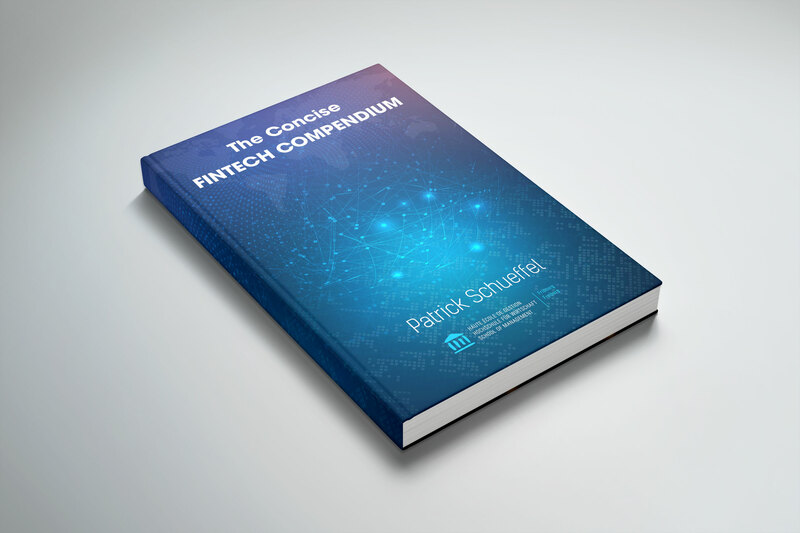 Author schueffelPosted on December 18, 2017 December 20, 2017 Categories Bitcoin, Blockchain, Bubble, Cryptocurrency, FintechTags Bitcoin, Blockchain, bubble, CryptocurrencyLeave a comment on Who goes down if the crypto bubble bursts? 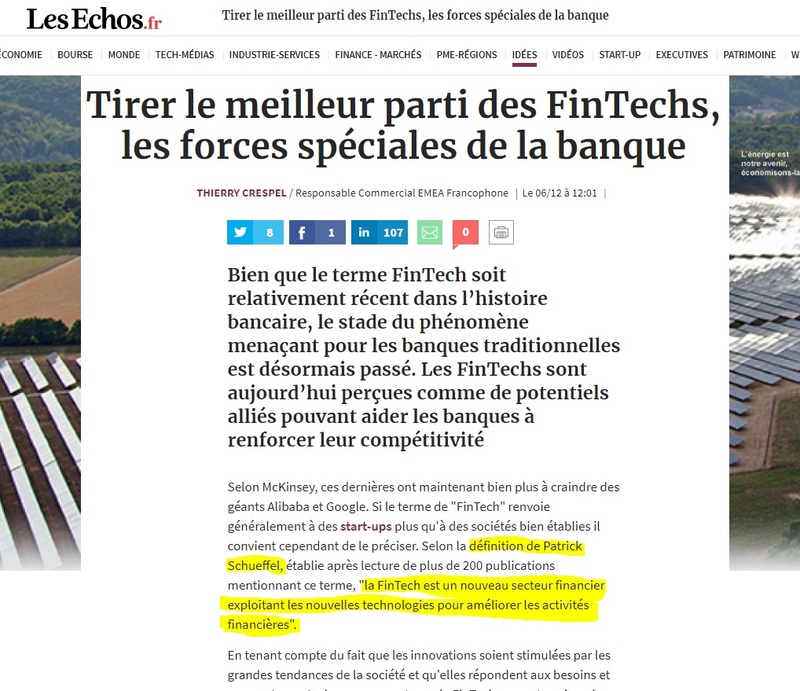 …and I am proud to see that my definition of Fintech is also catching being used in the French speaking parts of this world! 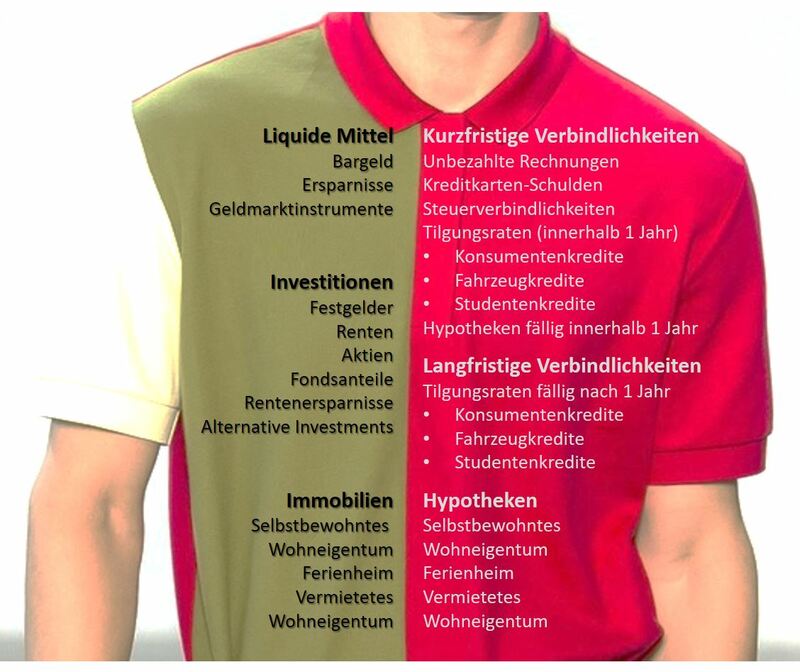 In Switzerland a consortium made up by some of the country’s largest banks such UBS, Credit Suisse, Postfinance etc. attempts to introduce a new mobile payment system and digital wallet by the name of Twint. So far it has failed miserably. The question that arises is what the future holds in store for Twint: will it succeed or fail in the long run? Spoiler alert: I hate to say it, but this Swiss mobile payment system was doomed to fail from the outset. Nonetheless, not all hope is gone. But let’s take it step by step. When pondering current business issues, it can be useful to consult some old economics classics. In their 1994 work “Systems competition and network effects” Katz and Shapiro describe the term network effects by saying that the ”value of membership to one user is positively affected when another user joins and enlarges the network, such markets are said to exhibit ‘network effects’” (p.94). In other words, in certain areas the success of a novel technology will depend on the size of the user group. This is because every additional user adds value to the entire system. Payments is such a technology. The more adopters there are of one specific technology, the more valuable it becomes to the group of users as everyone can transfer money to each other. Let’s assume for a second Twint came without technical flaws (it did not) and that its user friendliness was at par with Facebook, Google, WhatsApp etc. (it is not) and that the entire Swiss population was made up of Twint clients (of course, they are not!). Even then, the entire network Twint serves, will merely comprise 8 million people. 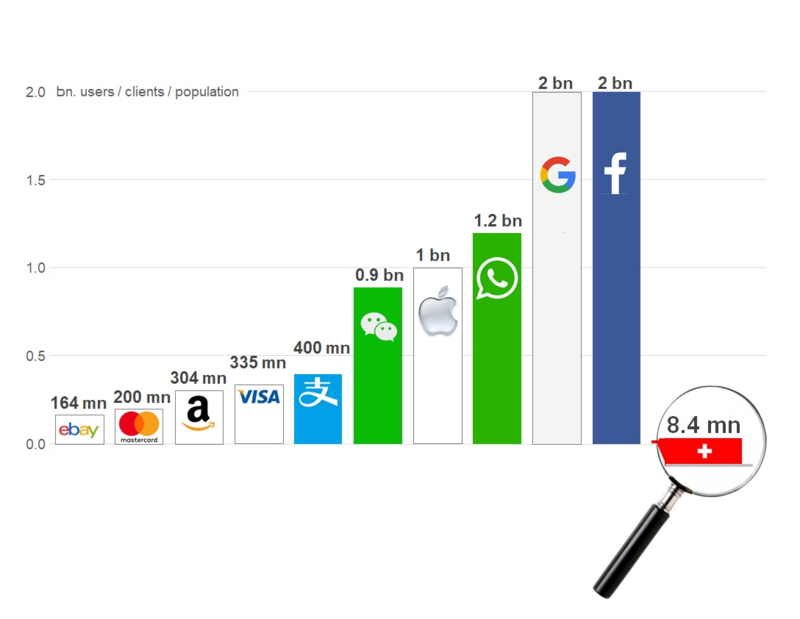 Or to put it in Katz and Shapiro’s words: Only 8 million people positively affect each other, compared to the potential 2’000 million users in the case of Google. Moreover, imagine a Swiss Twint client travelling abroad and intending to use his or her mobile phone for payments. As Twint is a national solution, the client will most likely be forced to use a different service, one offered by an international player, such as Apple Pay. It is then much more likely that Apple with its customer base of 1000 million users will push the Twint App off the phone over time. 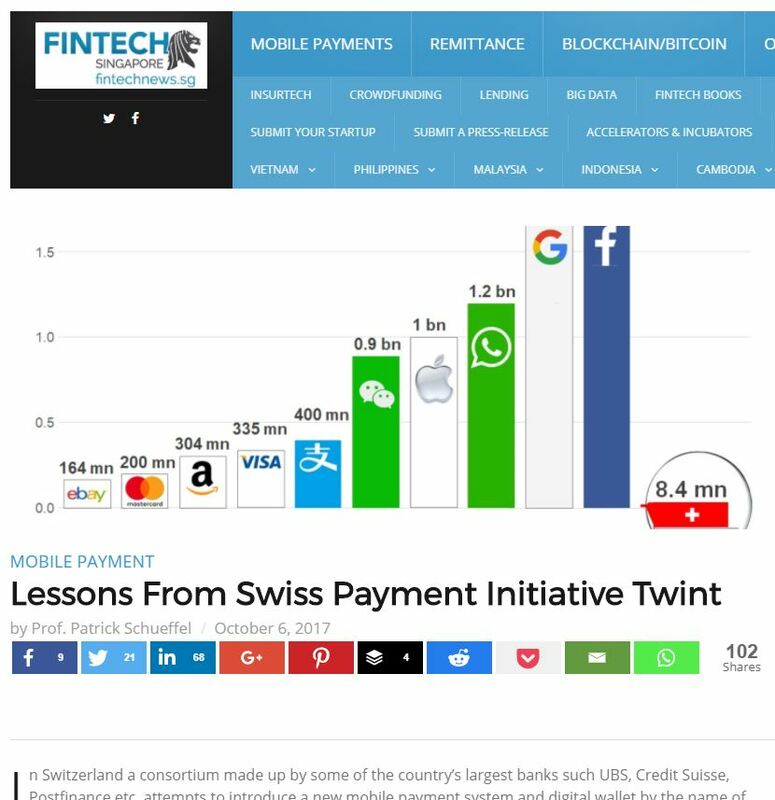 Instead, Apple pay will conquer Switzerland rather than Twint will conquer the world from its minute Swiss base. To put it in a nutshell, as a lone warrior Twint was foredoomed from the beginning. 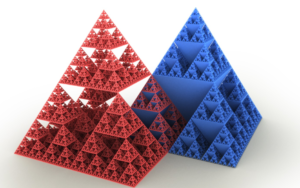 The base network size is far from any threshold that would yield appreciable benefits to the network members. But not all hope is lost if the responsible people involved understand the lesson taught be Katz and Shapiro: you need to team up with someone who already has a sizable network. Here various players come to mind. Among those are some which Swiss banks already have close ties to and which are not new to payments, such as the credit card firms Mastercard and Visa. Piggybacking on a 200 million or 335 million user network is far better than attempting to build up a network from the scratch that is basically limited to a few million users. Moreover, it could also be a value proposition to those existing networks: one the one hand, such existing networks could be expanded by a couple of million users, but first and foremost, Twint could introduce new technologies to those networks which would help them to evolve. However, this approach also requires a change of mindset. Twint must give up its role as a lone Swiss fighter and become an international team player. To put it at its simplest, no matter how well established you are domestically, any payment system that is constrained by a rather small user base and thus network size must look for international partners with larger networks from the outset. 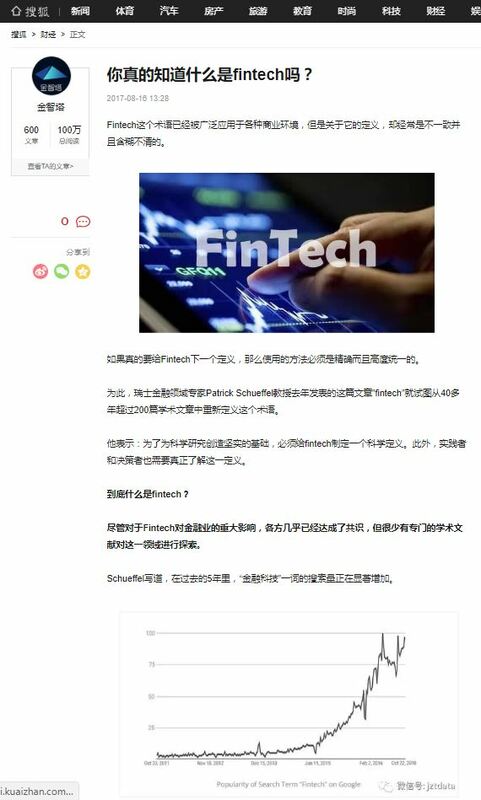 Only if those local payment systems team up with other international players and leverage those players’ networks, they will have a chance of success.